But today I am “chained” to my computer (hee hee!) so that I can get this new action finished and posted for you. 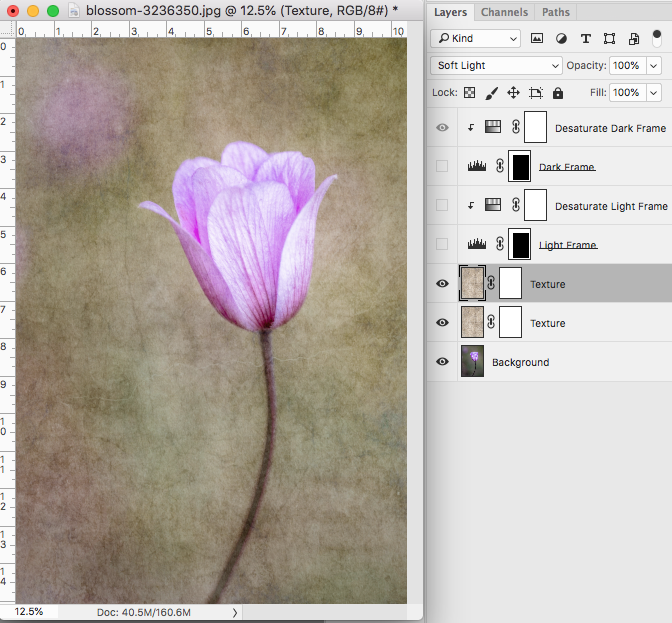 I “cleverly” call this Photoshop/PSE action “Texture and Frame”. 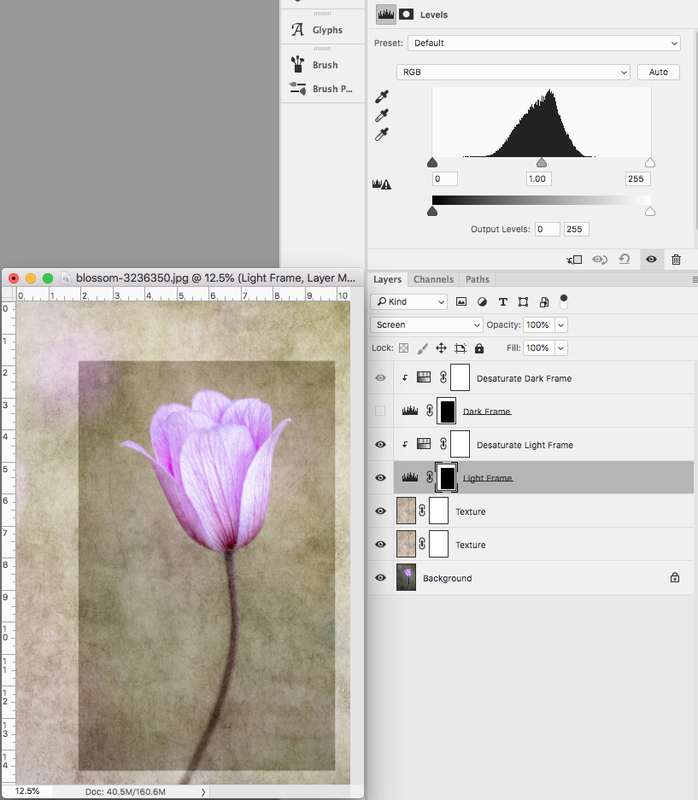 This action automatically applies your favorite texture on your image and then adds two adjustable light/dark textured frames. Pick your favorite and you are good to go, or don’t add the frames and simply enjoy your pretty textured image. Start the “Texture and Frame” action and when prompted, open your texture. I used my free “Kismet Pecan” texture on this image. The action will prompt you to resize the texture to fit your image. If you can’t see the transfer lines as seen in my screenshot above, click Ctrl(Cmd)-0 (zero) to zoom out and repeat to zoom back in. I turned on the second “Texture” layer and kept it in Soft Light Blending mode. 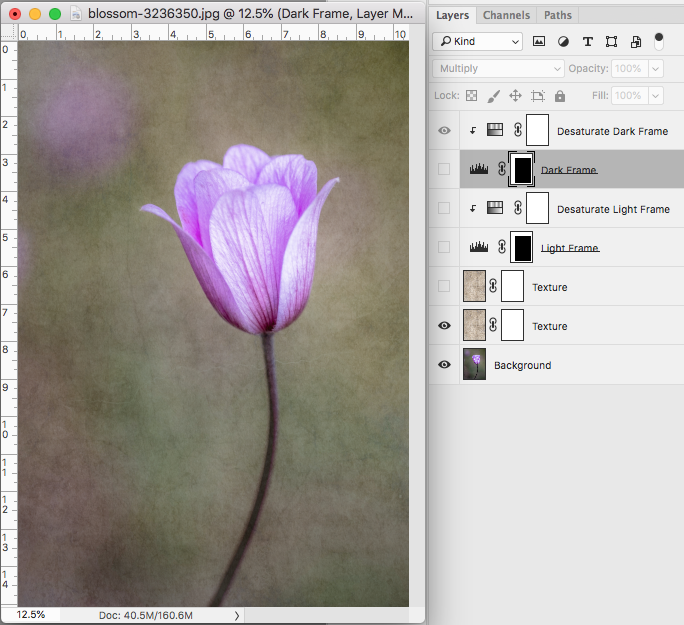 You can adjust the Blending Modes and Opacity of either/both layers. I usually use Soft Light, Overlay, Screen, and/or Multiply. I have two textured frame options, a light or a dark version. In this example above I turned on the “Light Frame”. 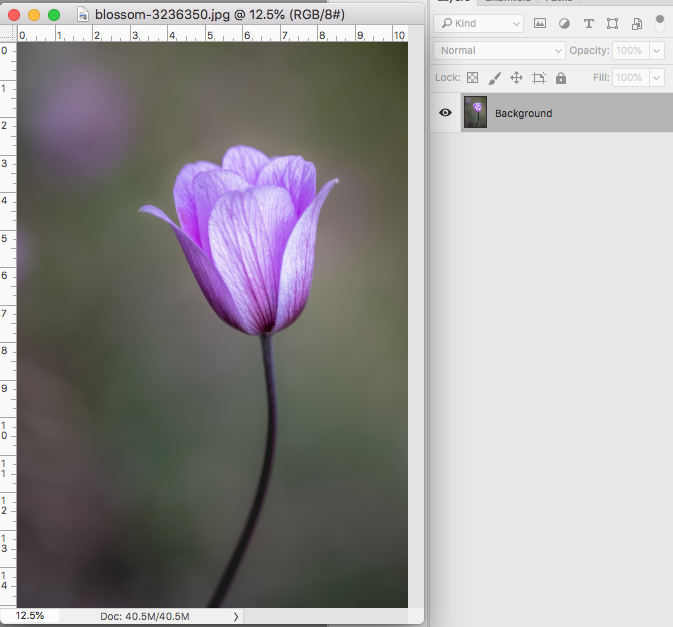 Grouped to this layer is a “Desaturate Light Frame” layer that removes any excess color from the frame. You can turn this off, adjust the opacity, or open it and adjust it to taste. You can also adjust the lightness of the frame by moving the sliders on the Levels adjustment “Frame” layer. 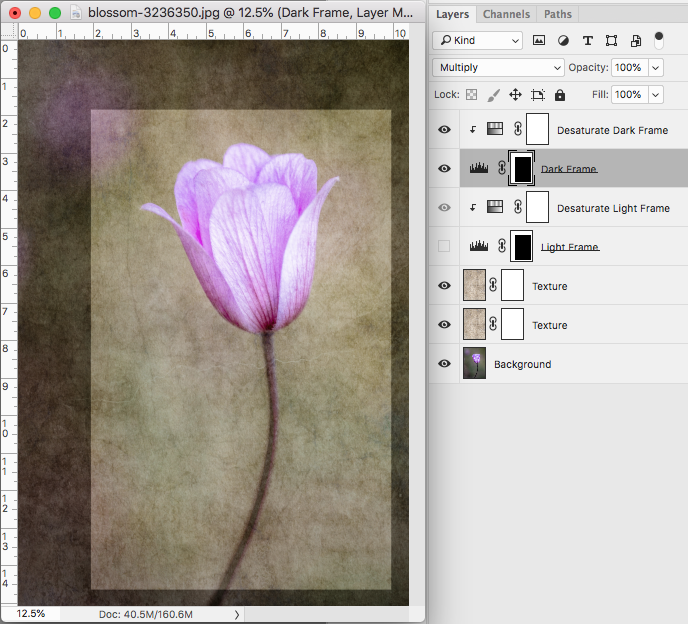 If you want a dark textured frame, turn on the “Dark Frame” layer instead and adjust it as suggested above. Download the CoffeeShop “Texture & Frame” Fine Art Photoshop/PSE Action!